William Harrison Marsh, 1838-1916. He was the father of Mary Elizabeth "Lizzie" Marsh. Unfortunately, I have lost the source of this photo. As you travel south on U. S. 41 today toward Adairsville, Georgia, at the Bartow County line the old road cuts off to the right and runs parallel to the new one. If you follow it, it takes you to downtown Adairsville, where the original road runs along between the storefronts and the railroad track. There is a fork in the road here that is easy to miss. One branch of it goes to Cassville, 10.7 miles southeast. This is the old path of U. S. Highway 41, originally the Dixie Highway, the first interstate road in the U. S. It connected Saute Saint Marie, Michigan, with Tampa, Florida. The other, called Halls Station Road today, goes to Kingston, 10.7 miles south. It follows the path of the Western and Atlantic Railroad, which was completed in the early 1850s. Both roads appear on early maps of Northwest Georgia, as least as far back as 1846. In May of 1864, General William T. Sherman and his army reached Adairsville and he faced a dilemma. Which fork would he choose? He decided to send the bulk of his army down Halls Station Road to Kingston, but he also sent smaller sections of his army directly south toward Cassville. The opposing Confederate commander, Joseph E. Johnston, anticipated Sherman’s move and set a trap for him. Johnston sent Hardee’s Corps to Kingston while withdrawing the bulk of his army to Cassville in the hope of destroying the smaller Federal force. It was a little departure from Johnston’s typical strategy against Sherman, which had been to try to try to slow his army down and, through periodic skirmishes, weaken it. For Johnston, the trap would have been a bold move, but before it could be sprung, the general discovered that Sherman had out-flanked him – again – by sending some soldiers down an old country path east of Cassville (possibly today’s Pleasant Valley Road), exposing the flank and rear of Johnston’s position. Johnston withdrew following a brief skirmish to ridges east and south of Cassville, and meanwhile, Sherman’s main force at Kingston forced Hardee’s Corps to withdraw to Cassville, so the opportunity was lost. The Confederate commanders held a council that night, 20 May 1864, and, according to Johnston, his subordinates told him that their current position, south and east of Cassville, could not be defended and the army should withdraw farther south. But according to one of those subordinates, the brash and aggressive Gen. John Bell Hood, they told Johnston that the position was not defensible, but could be used as a base for an assault on Sherman’s forces. Regardless of who is right, Johnston withdrew and on 17 July1864, Confederate President Jefferson Davis, frustrated with Johnston’s deliberate defensive strategy, replaced him with . . . Gen. John Bell Hood. I mention this pivotal moment in the history of the Civil War because among those Union troops who took the right fork and marched toward Kingston was a 28-year-old private named William Harrison Marsh of Wayne County, Kentucky. He was part of the 9th Kentucky Infantry (for more on his military service, see "Our family in wartime"). About halfway between Adairsville and Kingston is Halls Station, once a watering stop on the Western and Atlantic Railroad that was known simply as Halls or Linwood. To the east of the railroad is a long valley very suited to farming and cattle, and to the west is an area still somewhat a wilderness even today. In fact, it looks a little like the hill country of Kentucky. Perhaps William Harrison Marsh saw something here he loved about Linwood, although he apparently never came back to the area after the war. He went back to Wayne County to his wife, Minerva Ann “Nervie” Morris of Celina, Clay County, Tennessee, and they had a dozen kids. One of them was Mary Elizabeth “Lizzie” Marsh, who was, ironically, born in May 1864 while her father was somewhere in Northwest Georgia between Chattanooga and Atlanta. William Harrison Marsh must have told stories to his children of the March to the Sea or at least of the beautiful land just north of Kingston. I say this because of a sequence of events in their lives. Lizzie’s mother Nervie died 23 July 1906 at the age of 66 in Wayne County. She is buried along with many other members of the Marsh family in the Dishman Cemetery there. William, born on April Fool’s Day in 1838, died 8 December 1916 at the age of 78, but he is not buried next to her. He is buried in the Alexander Cemetery in Wayne County next to his daughter Alba. After Nervie’s death, he married a girl 55 years his junior. Her name was Arbecca Simpson and she was born in 1893 (she died in 1985 at age 92). Could that be why William and Minerva are not buried together? I don’t know if the differences in William’s and Arbecca’s ages caused any kind of scandal, but William was 71 and Arbecca was only 17 when they married 7 January 1910 and 54 years is a huge gap. So I can’t say if William’s May-December marriage had anything to do with the fact that Lizzie and her husband Newton Berry Davis had moved out of Wayne County to Piney Woods in Clinton County, next door by 1909. The family is living in Marlow, in Clinton County, and the children are enrolled in the Clinton County Schools, Subdistrict 3, for the 1909-1910 school year. Nor can I say that it had anything to do with their moving to Linwood, Georgia between 1910 and 1911. But one consequence of the move was that on 1 October 1911, a tall, lanky, and handsome young man named James Henry “Jim” Smith married Newton Berry Davis and Mary Elizabeth Marsh’s daughter Rosa Alice “Rosie” Davis, a cute petite blonde. They were both 22. Jim and Rosie, whose story is told here and here, were the parents of Thiddo Smith. And who the heck is Thiddo Smith? See the Smith-Hall nexus. Newton Berry Davis, was born 13 April 1853 in Slickford, Wayne County and died in Wayne County about 1937 according to family history. He is said to be buried in the Dishman Cemetery there, but his grave is unmarked. His name is variously listed as Nucum P., Newcumb, and Morton. Her mother, “Lizzie” Marsh, as said, was born May 1864 in Wayne County. They were married in 1887 in Wayne County, and she died in 1955, probably in Kingston, Georgia. According to family sources, theirs was a “common law” marriage and she remarried late in life, while in her 70s. She is buried in the East View Cemetery in Adairsville. Newton Berry Davis was a farmer working rented land in the 1920 Kingston census. He could not read nor write, but Lizzie could, as well as their children Alfred and Della, who are living with them in this census. Newton Berry Davis is said to have died while putting in a crop near the Old Glory Schoolhouse in Wayne County in the spring of 1937 when he was about 84 years old. His body was found three days later by a friend. According to his granddaughter still living, he lived in a shack and was found lying in bed fully dressed, including his shoes. Newton Berry decided to go back to Kentucky in late 1936 or early 1937, a few months before he died, but Lizzie refused to go with him and stayed in Kingston. She did not find out he had died for two or three weeks. In 1930, they are living with Noah G. (Garfield) and Lucy Minton. Lucy, 50, is Lizzie’s daughter, Lucy Vaughn. According to some websites, Newton Berry Davis is said to have married a woman named Piercy (one says it was about 1860, but that obviously is in error. Newton would have been 7!). One says her name was Elizabeth Ann “Lizzy” Piercy, which is somewhat ironic because his second wife, Mary Elizabeth Marsh, was also called “Lizzy.” Newton Berry and Elizabeth Ann had two or four children, depending on the source, all girls, but no records have been found as to names and fates of his wife and the girls. One source says they divorced. He is listed as living with his family in the 1860 and 1870 Kentucky censuses, but I could not find him in the 1880 records. There are several connections between the Piercy and Davis families including that of Lizzie’s sister Caroline, who married a Sherrod W. Piercy (3 January 1833–21 May 1900) in Wayne County, and Miles Privett's daughter Nancy W. Privett born 1853, who married Archibald Piercy, born 1856 (see below). Lizzie Marsh Davis was a small woman, under 100 pounds, but formidable if challenged. One winter (probably in Kentucky) Newton Berry found out first-hand. Lizzy had chestnut brown hair. She married again when she was 72-73, to a tall man whose name her granddaughter could not remember. They lived in East Rome in a trailer near the location of the old East Rome High School. The couple would sit on the porch and watch the children walk home from school, and Lizzy would say, “I can’t wait until we get our little kids in school.” She had a sense of humor. According to family sources and other records, Lizzie Marsh was previously married, to a William Vaughn or John Bond Vaughn (the sources disagree), and had two daughters from that marriage, Lucy and Mary Adaline. Lizzie must have married very young, at 15 or under. Newton Berry Davis and Lizzie Marsh are said to have raised them. In the 1880 Mullentown, Wayne County, Kentucky census, a Mary E. Vaughn, 16, and married, is living with William H. Marsh, 48, and Minerva Marsh, 38, with a five-months-old child named Lucy Vaughn, plus Thomas Marsh 15, Alba Marsh 13, Joseph Marsh 11, Martha W. Marsh 7, Frankie E. Marsh 4, and John E. Marsh 1. Mary Vaughn also later married David Rush Bratcher, the son of the wife of Mary’s step-brother Millard (see below). The records of the girls Lucy and Mary, and Lizzie’s children by Newton Berry Davis are a little complicated. Apparently both Lucy Vaughn and Sarah Davis, who by one account was also named Lucy, both married Garfield Minton. Also, Lucy Vaughn is said to have married three times, once apparently to a man named Glass who died. In the 1900 Wayne County census, Mary Vaughn Glass, 21 (born about 1879), is a widow with three children living with Lucy Glass, 20 (born about 1880), next door to Newton Berry and Lizzie Davis. In the 1900 census, Mary Vaughn Glass has three children, all born in Kentucky: Mandy, born June 1896; Willie, born December 1898; and Virgil, born September 1899. Nothing else is known of them. Garfield Minton and Lucy Vaughn are said to have lived in Florida and Georgia. 1. Rosa Alice Davis, born November 1888 according to a website, 1 November 1887 according to her daughter-in-law Gladys Hall Smith, and16 November 1887 according to her niece. The date 16 November 1888 is on her tombstone, and the census records consistently indicate she was probably born in 1888. She died 27 February 1947 at about the age of 58. A petite woman when young, she weighed about 350 pounds when she died, which no doubt contributed to her death. She is Thiddo Smith’s mother, and married James Henry “Jim” Smith. 2. Sarah Lucy “Sirry” Davis, born May 1890, and married Hosea Johnson in Gordon County. They had sons Clarence and Oliver, then she married Noah Garfield Minton. She is said to have died relatively young. 3. James Harley “Jim” Davis, born 1 January 1892. but his year and place of death are mysteries. He married James Henry Smith’s sister, Cora Lee Smith. She was born January 1892 in Bartow County, Georgia (probably Linwood) and died in 1963 in Rome, Georgia. She married Jim Davis on 11 May 1913 in Bartow County. In 1920 Jim and Cora Lee live in the Mt. Alto District of Floyd County (Georgia Militia District 1120). By 1930, however, Cora Lee is a widowed mother of three farming rented land on Veal’s Ferry Road in the Livingston District of Floyd County (GMD 1059), due west of Rome. In late 1918, according to their niece still living, Jim left Cora, although he apparently returned in time for the 1920 census. Family accounts vary, but he supposedly left her and possibly went to Kentucky to work on the railroad, and by one account returned briefly, then disappeared again. Their niece still living said that Cora told her she was working out in the field when their youngest son Luther was nine-months-old (October-November 1918). Jim was at the house watching the baby and when Cora came home for lunch, she found that Jim had put the iron bedpost down on the skirt of Luther’s baby dress, to keep him from crawling away, and was nowhere to be found. When Thiddo Smith was beaten bloody with a plow strap in the late summer of 1940 or 1941, and kicked out of his house by his father, James Henry Smith, Cora’s brother, he went to live with Cora for a few months. But Cora eventually told him, “Thiddo, you’re going to have to have somewhere to go. I can’t feed my own kids. That was when he went to get mama to sign the papers,” Her niece said. She may have mean kid rather than kids, since all of Cora’s children were in their 20s by 1940, but it is possible Nellie was still at home. In any case, Thiddo went to his mother, Rosa Alice Davis, Jim Davis’s brother, and she signed for him to join the army (he was 16 or 17 years old). It made her husband Jim Smith mad, but he could do nothing about it. Nellie S. or Odell (according to her granddaughter) Davis, born 25 April 1915 according to one source, 1914 according to her tombstone, and died in 1964. She married Roy Mize. She was born double club-footed and was an epileptic. According to her granddaughter still living, Cora did not have the money for medical treatment, so she went to the elders of the North Rome Church of God and they prayed together and Nellie’s feet turned out. The transformation is confirmed by family photos. Also, when Nellie did not reach puberty at a normal age, Cora prayed for her and her granddaughter says that Nellie had her first period. The volume of blood was such she bled through the mattress she was lying on. Luther Madison Davis, born January 1918. He married Mary Geneva Martin and they had four children, Jean, Ricky, Larry, and Michael. Mary Geneva Martin died in 1977 or 1978. He later married another woman named Mary, who according to family tradition was Luther's second cousin on his father's side. Luther's grandfather William Thomas Smith had four brothers, any one of which could have had a child named Mary, but no records have yet been found concerning their children. William Thomas did have a sister named Mary, but she was born in 1892. Luther died in 2002 at about 84 years old at hospice in Florida. He had been homeless for several years. “My brothers used to laugh at him when he was going with girls,” Cora Lee’s niece, still living, said of Luther. “He said, ‘I’m going to get me one the sun never shined on.’ [After he met Mary Geneva] They said, ‘He done did just what he said. He got one the sun never shined on”.” Mary Geneva Martin was about 14 when they wed. In her old age, Cora had long, beautiful gray hair and, according to a family member still living, "was as sweet as an angel." All I remember of her is that she was called “Aunt Cora,” and I think she lived on Calhoun Avenue in Rome near her brother Oscar when she died. As a child, we visited Luther Davis and his family at their home on old Highway 5 just north of Marietta. Luther’s son, Larry, first introduced me to cigarettes, Kool Menthols. Double Yuk. He stole them from his mother. Larry, who was born in the 1940s I believe, died Christmas Day 2004 of cancer in a hospice in Daytona, Florida. He had been homeless for several years. 4. Millard Harvey Davis, born 30 June 1894 in one record, 7 December 1895 in another (in Upton, Kentucky), and 30 June 1892 according to his WWI draft registration card. He died in Lafayette, Indiana on 7 December 1970. He is buried in the Springvale Cemetery in Lafayette. He married Rosa Ann Bratcher, born November 1898 in Hart, Kentucky, on 24 November 1912 in Pocahontas, Arkansas (she would have been 13 or 14). Their children, all born in Lafayette, included David Roy born about 1904, Marvin or Melvin Lee 1906, Grace Elizabeth1908, Clifford Albert, Leonard Alvin 1911, Howard Edward 1913, Elbert Ernest, Virginia Ellen and Rosey May. In 1920, they are living in Tippecanoe County with Roy Davis 16, Grace Davis 12, Leonard Davis 9, Howard Davis 7, Josie Davis 5, Melvin Davis 3 1/12 and Herbert Davis 1. Josie may be Rosey Mae. Rosa Ann Bratcher’s son, David Rush Bratcher, married Mary Vaughn, thus crisscrossing the family relationships: Millard’s step-sister is his daughter-in-law, Mary’s mother-in-law is her step-mother, etc. They married 22 January 1904 in Edmonson County, Kentucky, and had seven children: Ettie Pearl, Elza Rush, Verna Elizabeth, Lydia Mae, David Estill, Roy, and Paul Thomas. The latter two died at birth. 5. Laura B. Davis, born January 1896 in one record, 28 January 1894 in another. She lived in Adairsville, Georgia. She married Clennie Crawford 21 January 1912 and they had a son that drowned. She also married Jim Adams, but the family records disagree about whom she married first. 6. Alfred Byrd Davis, born 24 April 1900. One record says he was called “Bertie.” He is listed as living in Bartow County on his WWI draft registration card. He married a Pauline Killian, who is said to have been part Native American. They had three children, all of whom may still be living. His niece said that “Uncle Byrd” was cross-eyed, and he was a preacher (Church of God): “He always said that when God got ready to take him, he wanted to be in the pulpit,” and so he was. According to family history, while he was preaching a sermon, he either had a heart attack or stroke, sat down a bench, and died. 7. Della Mae Davis, born 1905, and died 7 August 1944 in Floyd County. She is buried in the Antioch Cemetery. “Dellie” married “Uncle” George Fowler. I don’t remember ever meeting Della, but I knew Uncle George and two of their children well. One, still living, married Glady Hall’s brother, making Thiddo Smith and Gladys double related (Who the heck is Gladys Hall? See the Smith-Hall nexus). Uncle George was a large man who looked something like the icon of a fat Englishman. His voice was a little high-pitched, too. He was a very friendly, talkative man. Uncle George was a “county correspondent” for the North Bartow News, a very small weekly newspaper in Adairsville, in the 1960s and 1970s. A county correspondent is a person who reports news from a particular area of the county or area, an arrangement that harkens back to the old days when county papers had few if any reporters, and depended on county residents to bring them local news. The correspondents’ reports were always a mixture of “hard” news, and social notes, but, as time went on and papers added reporters, county correspondents became more like gossips. Uncle George’s column, called “Calhoun Road,” consisted almost entirely of the comings and goings of him and his relatives. His other child was “Junior,” who was large, too, and very gregarious. He worked for Thiddo Smith on several occasions. He married a Mary, surname unknown, and they are both deceased. Before going further back in Rosa Alice Davis’s ancestry, it is important to note that there are several interrelated families in the family tree in Wayne County. They include not only the Davises and the Marshes, but the Alexander, Morris, Privett, and Upchurch families. The families are large – the Wayne County cemetery records list 114 Davises and 104 Upchurches, for instance – and several of the given names are the same. For instance, there are three Moses Upchurches, and three James, John, Dorothy, Sarah, and Mary Davises in the records. So, the relationships of these families is very complex and I am sure the information that I have below only scratches the surface. Lizzie Marsh's parents, William Harrison Marsh and Minerva Ann Morris, married about 1855. I don't have any more information on her. William Harrison Marsh may have been a preacher and built a church in Slickford, Wayne County, perhaps Dry Holler Church, but there is another William Harrison Marsh in Wayne County (23 July 1870-5 June 1949) who married Lora Bell Dishman. 1. William Rosey Marsh, born 25 December 1856, and died 20 November 1942 at the age of 85. He married Sarah Adaline Simpson on 17 January 1875. She was born 1 January 1856 and died 6 October 1917 at the age of 61. They are buried in the Alexander Cemetery in Wayne County along with their son, Pete E. Marsh, 6 April 1886-29 November 1976. Pete’s wife may have been named Lutie. 2. Vienna Jane “Vina” Marsh, born 10 November 1860 and died 1 May 1924 at the age of 63. She married William Alexander and also married James H. Alexander, possibly brothers. She is buried in the Alexander cemetery along with her children John E. Alexander, 5 January 1885-19 June 1969, Della Alexander Upchurch, 9 August 1899-24 February 1936, and Henry Alexander, 23 January 1880. There is no death date on Henry Alexander’s gravestone, so he may have died at birth. 3. Mary Elizabeth Marsh born May 1864. Rosie Davis’s mom. 4. Thomas Marsh, born 21 April 1865 and died 23 September 1903 at the age of 38. He married Isabelle Upchurch. I don’t know if Isabelle was related to Lavinia Jane Upchurch, Thomas’s grandmother. He is buried in the Alexander Cemetery. I believe he lies next to his mother. 5. Alba “Abbie” Marsh, born23 January 1867, and died 26 January 1926 at the age of 59. She apparently never married and is buried in the Alexander Cemetery. 6. 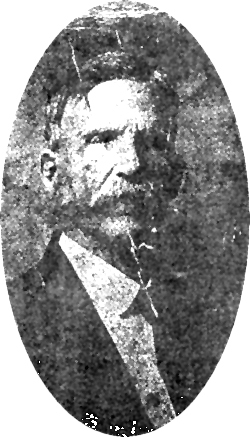 Joseph H. Marsh, born 1869. He is said to have died on an oil rig, but I have no further information on him. 7. Martha Wayne Marsh born 1873. Nothing else is known of her. 8. Francis Ellen “Gussie” Marsh, born 5 October 1874 and died 13 June 1963 at the age of 86. Gussie married three times and her husbands were William S. Burgess, J. J. Gray, and, her last, James W. Denton. The name on her gravestone in the Alexander Cemetery is Gussie Denton. 9. John Ellison “Ell” Marsh, born 1879. He is said to have been killed by his son, name unknown, who was imprisoned in Michigan City, Indiana. 10. Lucy Marsh, born after 1880. I have no further information on her. They also had two children who died at birth and whose names, if any, are unknown. William Harrison Marsh’s father was Roswell Marsh Sr., born 1810 in Alabama and died about 1880 in Wayne County. His mother was Lavina “Viney” Jane Upchurch, born 1810 in North Carolina, and died in 1880 in Wayne County. Roswell Marsh married Lavina Upchurch in 1837, most likely in Kentucky. Children born to this union are: Lucy M. Marsh 1834, William Harrison Marsh 1 April 1836, Ruth Marsh 1842, Rachel E. Marsh 1844, Joseph M. Marsh 1848, and Roswell Marsh1858, all in Wayne County. Roswell and Viney are buried in the Dishman Cemetery. One source says his grave is marked with a stone into which are carved the initials RM, but the Wayne County GenWeb site lists him as B. Marsh and has no listing for an R. M. His wife Viney is buried next to him. No dates are listed next to their names on the website, but I don’t know if that indicates their graves are unmarked or not. Roswell Marsh Sr. was the son of David Marsh and his mother remains unknown at this time. David applied for a Revolutionary War pension in Wayne County in 1832, so he served in the war. Roswell’s siblings were John, Jehoida or Joseph, and David Jr. John is said to have served time in prison, and Jehoida or Joseph Davis married Nancy Brammer and moved to Missouri prior to 1840. Roswell and Lavinia are in the 1850, 1860, and 1870 Wayne County censuses. In 1870, Lavinia is listed as “Vienna” and they are living next door to their son, William Harrison Marsh and his family. Minerva Ann Morris’s parents were Thomas John and Jane Brunett Morris, but I don’t know anything else about them. Lavinia Jane Upchurch’s parents were Moses Upchurch, born 1790 in Iredell County, North Carolina, and died in 1859 in Wayne County, and Catherine Baker, born 1795 in Virginia. Moses and Catherine are listed in the 1850 Wayne County census. He is a farmer. 1. Lavina Jane Upchurch, born 1810 in North Carolina. 2. Thomas Upchurch, born 1815 in North Carolina. 3. Mary Polly Upchurch, born 9 June 1826 in Wayne County, Kentucky. 4. Lucinda Upchurch, born 1827 in Wayne County. Married Miles Privett. 5. Shadrach W. Upchurch, born 1832 in Wayne County. 6. John Upchurch born 1834 in Wayne County. 1. Joseph Upchurch, born 10 August 1800 and died 1865. He married Jane Crouch on 3 March 1823, the daughter of James B. Crouch and Agnes Denton. She was born 29 January 1806, and died in 1880. 2. Lydia Upchurch, born 1775 in Brunswick County, Virginia. She married Jefferson Dishman before 1803 in North Carolina, the son of Thomas Jefferson Dishman and Kiziah Doublehead. Thomas Jefferson Dishman was born in 1772 in Iredell County, North Carolina, and died in 1843 in Wayne County. There are 120 Dishmans in the Wayne County cemetery index. 7. Moses Upchurch, born 1790. Newton Berry Davis was the son of George B. Davis, born 15 October 1825 in Virginia (one record says Kentucky) and was murdered in 1889 in Wayne County (other records say 1880 and 1884). He married Mary Elizabeth Privett, born 1828 in North Carolina. But one source says Newton Berry Davis was the son of George B. Davis’s step-brother, Azariah. In any case, Newton Berry Davis is living with George and Mary Elizabeth in 1860, and his age, 7, fits between George and Mary Elizabeth’s children Minerva J. 9 and Millie 5. George and Mary Elizabeth married about 1848. George was murdered while sitting on his front porch talking with a land surveyor by a man named Daniel Hancock. The dispute is said to have been over land. Hancock shot George with what is described as a “cannon ball pistol,” which probably means it was a muzzle-loaded pistol that fired a small lead ball. The gun would probably have been an antique in this time since the revolver was already in use before the Civil War. The bullet was saved and placed in a small box. It was passed down to George’s son-in-law Joseph Owens and is now said to be in possession of Joseph’s granddaughter. George was a private in Company A, 4th Kentucky Regiment in the Mexican War, and in Company H., 3rd Kentucky Mounted Infantry, in the Civil War. Ironically, his son Newton Berry married the daughter of a Union veteran, William Harrison Marsh, who fought in the 9th Kentucky Infantry (see “Our family in wartime” and “Newton Berry Davis and Mary Elizabeth Marsh”). 1. Elijah Davis, born 1850. 2. Minerva J. Davis, born 1851. 3. (?) Newton Berry Davis, born 13 April 1853. As noted, one site says he may have been the son of George B.’s brother or step-brother Azariah. 4. Milly or Milley A. Davis, born 6 September 1855 on Otter Creek, Kentucky. 5. John Davis, born 1857 15 January 1858 on Otter Creek. 6. Caroline “Lina” Davis, born 1860. 7. Tennessee Davis, (a female), born 1862. 8. Sallie Luinda, born 9 December 1864. Sallie Luinda married a Joseph E. Owens, 1860-1940. They had a daughter, Minnie May, born 30 January 1900 in Wayne and died 17 November 1991 in Bowling Green, Kentucky, and a son, Charlie Everett, 1891-1966. Please note that the following information on George B. Davis’s father and grandfather is a best guess and may or may not be correct. There were at least three John Davis’s in Wayne County, Kentucky, in the early and middle 19th century, and so far no one has been able to sort them out. George B. Davis’s father was named John Davis Jr. and his mother was named Mary Brammer (or possibly Bowman). John Davis Jr. was born in Virginia in 1788 (one record says “about 1792") and died in 1868 in Wayne County. They are said to be buried in the Dishman Cemetery. They married 11 January 1825, and are thought to have had at least one child, George B. Mary Brammer, born between 1790 and 1800 in Virginia, was an orphan living with John and Nancy Caldwell, who consented to their marriage. They were married by John M. Johnson. Mary Brammer’s parents were Burgess Brammer, born about 1760 in Virginia, and Mildred Boyd, born about 1761 in Virginia. Burgess Brammer was a Patriot. John Davis Jr. later married Rebecca Cantrell of Virginia, born 1790, in 1828, and they had one child, possibly Azariah, born 1830-35 in Virginia and died between 1853 and 1859 in Kentucky. Nothing else is known of Azariah. In John’s house in the 1840 census, there are two boys whose ages match those of George B. and Azariah. John and Rebecca are living in Clinton County, Kentucky in 1840. Two sources say that John Davis, Jr., married Rebecca Cantrell in Habersham County, Georgia about 1828. He probably left Kentucky and went to Georgia to mine for gold, stayed in Georgia for a few years, and then returned to Kentucky by 1840. The Dahlonega, Georgia “Gold Rush” began in 1828 and continued unabated until gold was discovered in California in 1849, although gold got increasingly harder to find in Georgia after 1840. That may explain why John and Rebecca returned to Kentucky. John Davis, Jr.’s father was John Davis, Sr., born 1774 in Virginia. His mother is unknown. John Davis Sr. died in 1849. John Davis Sr.’s father was Alexander Davis, born in 1754, probably in Virginia, and died in 1831 in Wayne County. He is believed to be buried in the Dishman Cemetery. Alexander Davis is listed as receiving a grant of 300 acres in Lincoln County, Kentucky on Otter Creek on 19 February 1785. Alexander Davis is listed on the roster of Captain Micah Taul’s Company, Barbee’s Regiment of the Kentucky Militia in the War of 1812 (see “Our family in wartime”). In the 1880 Wayne County census, George 53 and Elizabeth 52 are living with Lucinda, 16. Mary Elizabeth Privett’s parents were Samuel Privitt, born 1790 in North Carolina and died 1876 in Wayne County, and Elizabeth Miller, born 1795 in North Carolina and died after 1870 in Wayne County. They are in the 1840, 1850 and 1860 Wayne County censuses. Samuel is missing in the 1870 Wayne County census. Elizabeth, 74, is living with Upchurch Privett 20 (a female), Washington Upchurch 15, and Mary Upchurch, 1. Samuel Privett apparently moved to Wayne County from North Carolina between 1834 and 1837. In the 1840 Wayne County census, which only lists heads-of-household, there is a Samuel Previt or Prewit, 40-50, with a wife 40-50, and nine children, but in 1850 there are only three children in the household of Samuel Privit, 60, a farmer born in Virginia, and Elizabeth, 5?, born in North Carolina: Robert 17 and Caroline 16, both born in North Carolina, and Sarah 13, born in Kentucky. There is a Samuel Privett in the 1830 census for Madison County, Kentucky, but his wife is 20-30 (Elizabeth would be 35). I believe Samuel and Elizabeth’s son Miles may have died in the Civil War 10 June 1864 at Camp Burnside, Kentucky. (See “Our family in wartime”). Miles Privett married Lucinda Upchurch, Lavinia Jane Upchurch’s sister. Lavinia Jane, born 1825, is Rosa Alice Davis’s great grandmother. Miles and Lavinia’s children were Edward F. Privett, born about 1846, General W. Privett 1848, John W. Privett 1850, Catherine Privett 1851, Nancy M. Privett 1854, and Mary P. Privett 1855. One record says Nancy W. Privett born 1853, married Archibald Piercy, born 1856. Samuel Privett’s father was Miles Privett, born before 1760 in Chowan County, North Carolina, and died 1809 in Wake County, North Carolina. He was a Patriot. His wife was named Mary. She was born about 1760 but nothing else is known of her. For more on Miles’s service in the Continental Army, see “Our family in wartime.” After his father, Miles, died, Samuel moved to Iredell County, North Carolina, with his brother Noah between 1810 and 1820. The 1820 census lists Samuel in Iredell County and Noah in Wilkes County. Miles was probably a slave-holder. He owned a plantation, although he does not list any slaves in his Last Will and Testament. There is a Miles Privit in the 1790 census for Wake County, and in the 1800 census for Hillsborough, Wake County. Miles and Mary’s children were Charity, born 1784, Jacob 1785, Laney 1787, Samuel 1790, Noah 1794, Elizabeth 1796, Raney 1798, Willis 1800, and Winney 1802, all in North Carolina. Miles’s father was William Privett, born 27 May 1727, and his mother was Marah, surname unknown, born 1727. She died 6 July 1797 in Wake County. They are legion, but below are some of them.